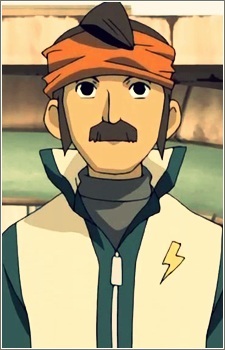 Years ago, he was a member of the original "Inazuma Eleven" soccer team and then acted as the coach for the Raimon Junior High soccer club. He was thought to have been killed in a car accident set up by his vengeful rival, Reiji Kageyama, but upon inspection of the incident, turns out to have escaped from his life. With his daughter's family in danger of Kageyama's attacks, Endou leaves the country under the guise of being dead, but is discovered to be residing somewhere on Soccer Island where the Football Frontier International is being held.